If one was to play in one of the best GP series anywhere, the Fast 40 class would be it. Here, one of the best boats is now for sale, and yes, it’s going to be very quick no matter where you sail it. 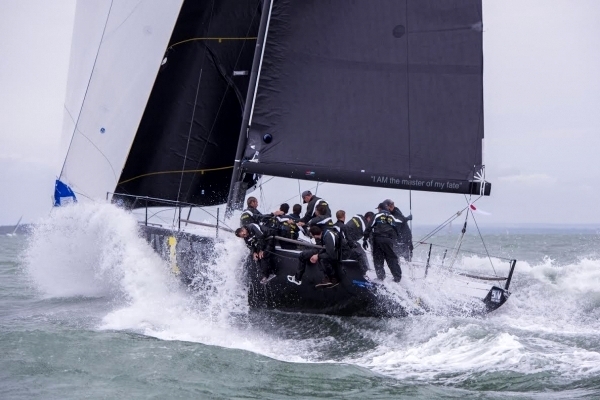 Built in 2015 by McConaghy Invictus has competed over 3 seasons in The Solent and has an impressive track record. Continually modified over the last 3 years, Invictus is one of the most competitive boats in the fleet. Modifications include: fabricated steel keel fin, heavier bulb, foam bow modification, lightweight engine and a number of other tweaks. Offered with a large wardrobe of sails, many of which are still in good race condition. Further mods have been suggested by Jason Ker to further improve performance, but sure to compete for podiums in 2018 with no further modifications. Full inventory can be supplied on request.